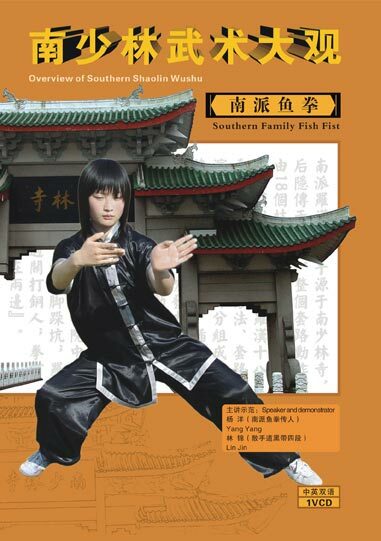 Southern Family Fish Fist, is originated from Southern Shaolin Temple at the beginning,then expanded in society. The fist is the imitation of fish action, swimming, wave diving, turning fly, tail swings, water playing, prey, squama shaking, mouth opening and tide patting arms spinning for example. The fist is called Southern Family Fish Fist, who is full of the characteristics of Southern Boxing. Practice methods, exercises and skills appreciation consist of the fist. The way to learn and do practice are kneading sticks, balls. By doing this, you can improve your agility and inner power. 27 actions all together, whose behavior is like fish, so called Fish Fist. The fist has the advantage of training both inner side and outside, simple actions and quickly movement, mind controls the Qi making freely shaking. When fighting, the fist is using the soft force to break enemy’s power. The script says, Southern Family Fish Fist is the one with quickly movement in body and hands, smooth action.